Kudo Kazehaya's name evokes the wind, which is given to warn him that one day he, too, might disappear. He almost thought his time had come -- until he was rescued by the dark, handsome, and equally mysterious Himura Rikuo. 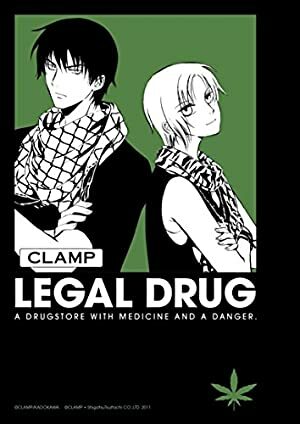 Now they both reside where Rikuo works, the Green Drugstore, a place that dispenses not only medicine but the secret powers of both Rikuo and Kazehaya, as the pair embark on missions into the paranormal at the bidding of its strange proprietor, Kakei. Track It. This book has been $4.79 within the past year. This book was $10.43 when we started tracking it. The price of this book has changed 10 times in the past 415 days. This lowest price this book has been offered at in the past year is $4.79. The lowest price to date was $4.79 last reached on November 18, 2018. This book has been $4.79 one time since we started tracking it. The highest price to date was $13.59 last reached on October 9, 2018. This book has been $13.59 2 times since we started tracking it.